A biker is accused of murder. Seventeen-year-old white Josh Williams is determined to make the most of his promising football skills. His older brother, Jamie, spent time on the field in high school but wound up involved with the local biker gang, the Annihilators. When a national biker gang, the Popeyes, rides into town and threatens to swallow up the Annihilators’ territory, Jamie ends up accused of murdering the meth-cooking brother of Josh’s crush, white beauty Brenda. 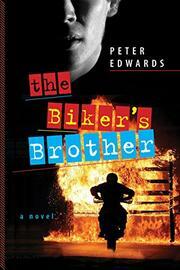 Josh believes his brother is innocent and investigates, pulling at a tangled web of biker politics in search of the true killer. Josh is an engaging protagonist, and the author builds his multifaceted personality through his interactions with authority figures, friends, and the assorted bikers. Unfortunately that’s where the characterization stops. None of the secondary characters are given more than one or two notable characteristics. Most disappointingly, Brenda is the thinnest of them all, introduced as “a teenage Scarlett Johansson, but a taller, leaner version,” and never developed further than that. This would be less noticeable if the shoe leather of the mystery were more satisfying to chew on, but the author doesn’t make it tasty enough. Josh stumbles on to the truth, and everything is settled on technicality and circumstance. There’s no satisfying “Eureka!” climax, and the novel just ends on an even note.